The Melbourne Cricket Club (MCC), located in the famous Melbourne Cricket Ground (MCG), is a unique organisation. 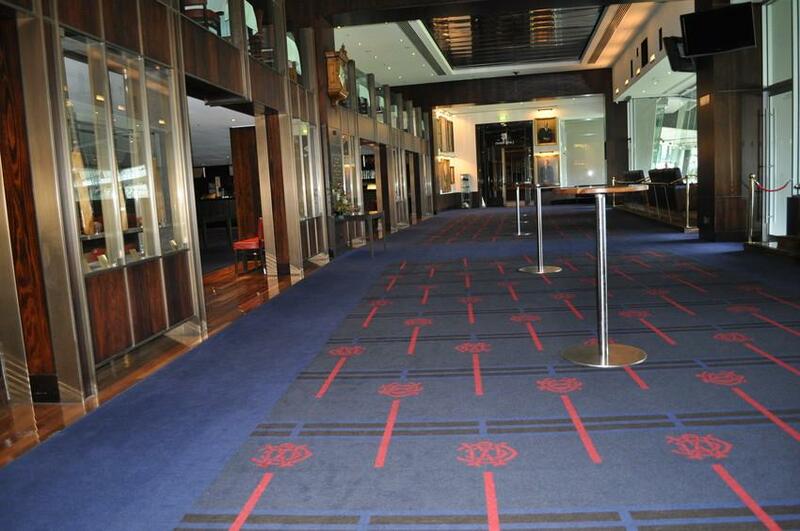 Founded in 1838, it is a private club, boasting the largest membership of any sporting club in Australia. 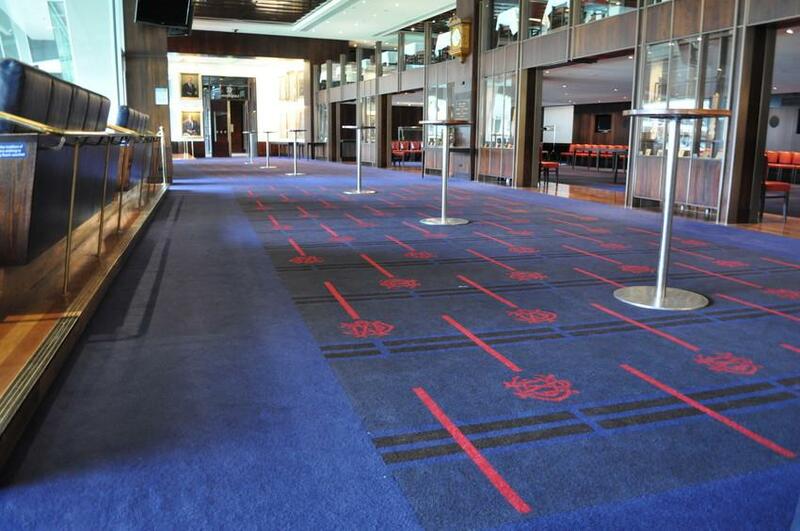 Brintons involvement with the MCC dates back to the 1970’s when it manufactured and installed a deep red Axminster carpet, woven with the MCC logo, in the clubs’ Long Room and dining areas. In 2003 the MCG embarked on a $430million redevelopment project, part of which was to rebuild the MCC pavilion to create improved facilities for its large member base. 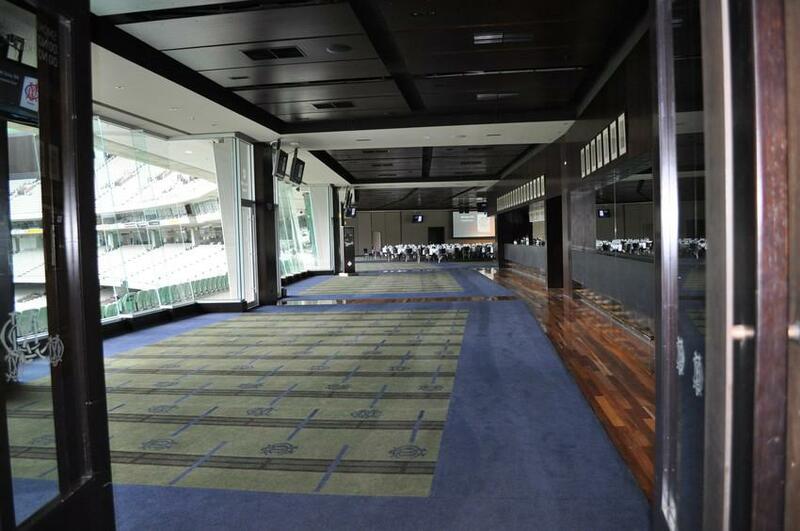 Brintons manufactured 3,500 sqm of special construction Axminster carpet for the new MCC pavilion. Two different yarns types were combined to add depth and to highlight the exclusive MCC logo.